When news broke that Carytown Burgers & Fries was slated to be knocked down and taken over by grocery-chain Publix, the community was both saddened and outraged, and rallied in hopes of saving the Richmond institution. Their efforts were unsuccessful, but lovers of the burger joint can relish the news that it has found a new place to call home. Speaking to RVA Mag this afternoon, Operations Manager Jordan Leonard said the restaurant closed this week on the Nacho Mama’s building, located at 3449 W. Cary St., and will reopen in early fall. “The timing has actually been really perfect given the close on this building, it’s been a pretty long process,” Leonard said. For those that have been following their story, Carytown Burgers & Fries, along with the Carytown Martin’s building and 10 other shops in the surrounding area, were purchased by Publix, which gave Carytown Burgers only three months’ notice, leaving them scrambling to find a new space. The restaurant, which has served the community in that same spot since Mike Barber opened it in 1999, was set to close June 30. Their lease has since been extended an additional six months to Oct. 31. A petition was launched in January by Carytown Burgers to rally the community to help save what’s become a beloved eatery and place to hang out; in just under a few days, they received 11,000 signatures. But, while the community rallied, the clock on Carytown Burgers’ lease was quickly running out. 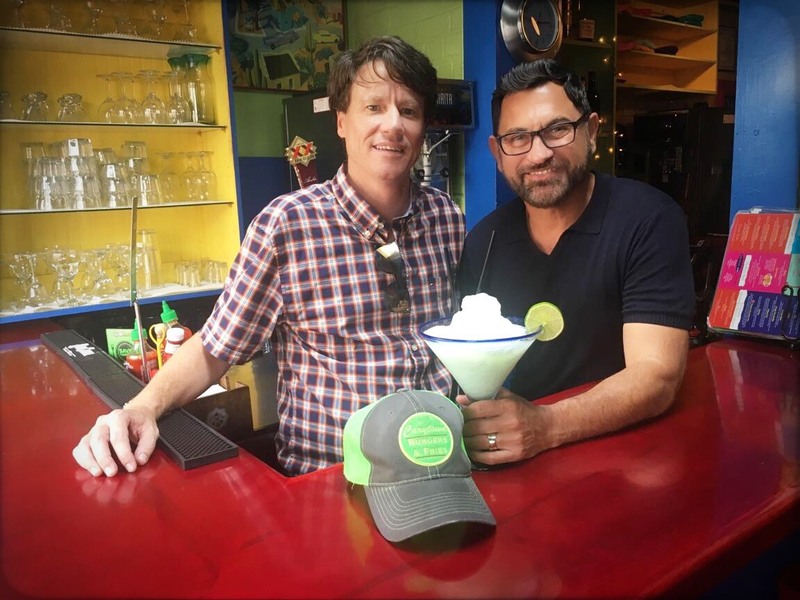 Luckily, Nacho Mama’s owner Raul Cantu already had plans to move on to seek out other ventures. Leonard said Cantu recently got married and his partner had received a job offer in Florida, so the restaurateur was already thinking about selling. But, when Cantu got wind of the turmoil that was going on down the street from his business at Carytown Burgers, he reached out to Barber to help. In their new space, you can still expect the same delicious burgers and fries you have come to know and love, but Leonard said there will be a few changes. The restaurant has applied for a full liquor license so they will be able to expand their offerings beyond beer and wine. The new restaurant will also be full-service, a switch up from the original location, which was only counter-service. “We’re really trying to get back to our roots with the family feel, bringing in some of the old school arcade games, and make it a really fun place for families to come hang out and people to come grab a drink after work,” Leonard said. Nacho Mama fans shouldn’t worry, though; Leonard said they are keeping some of the restaurant’s décor and paying homage to them on their menu since they have served the Carytown community for 22 years. And while Leonard said she’s a little sad about leaving the old space out of nostalgia, she and the crew are more excited for what’s to come at the restaurant’s new location. “You kind of get attached, but truth be told it’s a really old building, we have our problems with it. There’s a little bit of feelings about having to leave, but more than anything, we’re really excited about the opportunities that lie ahead,” she said. Nothing is set in stone, but Leonard is toying with the idea of holding an auction for some old Nacho Mama’s and Carytown Burgers & Fries items, with proceeds going to a charity, an aspect that was important to both business owners. “Charity and community service work is something both Mike and Raul have always been very passionate about,” she said. Nacho Mama’s will remain open until Aug. 31, and Carytown Burgers & Fries will come in the first two weeks of September to prep for their opening. The original Carytown Burgers & Fries will remain open until early September. Leonard said a soft opening is planned for Sept. 15 with a grand opening weekend by Sept. 29 or 30.